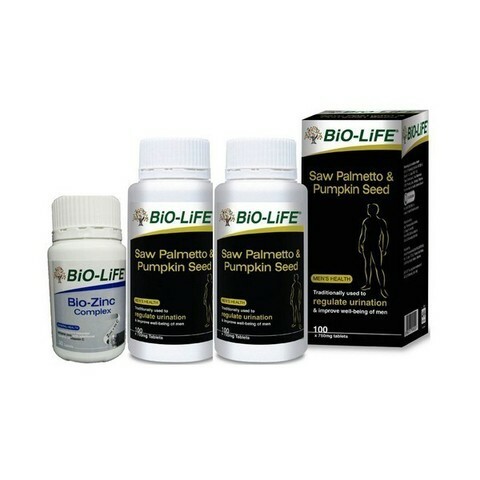 A herbal formulation traditionally used to regulate urination and improve well-being of men, Saw Palmetto & Pumpkin Seed combines the herbs, saw palmetto and pumpkin seed to provide a beneficial remedy for regulating men’s urination. Saw palmetto is one of the well-regarded herbs, used primarily to relieve symptoms associated with urination. The efficacy of pumpkin seeds is thought to be due to its high content of essential fatty acids, zinc and plant sterols. 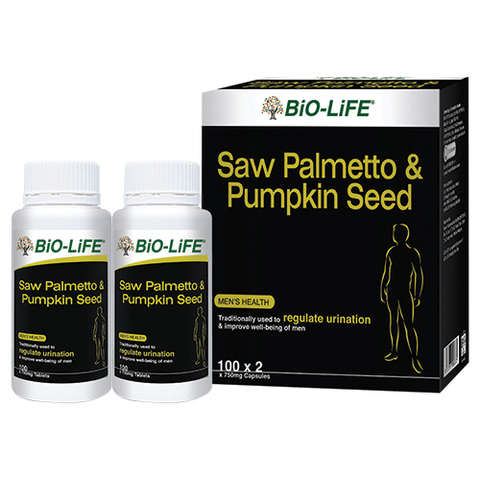 Hence, both saw palmetto and pumpkin seed work together for synergistic effects in improving frequent urination among men. Recommended dosage: Adult: Take 1 tablets, 3 times daily with food or as recommended by your health professional. It does not added with sugars or yeast, milk derivatives, wheat or corn starch, gluten, preservatives and artificial flavours. BiO-LiFE Marketing is a growing healthcare subsidiary within Global Swiss Multinational (MNC) corporation DKSH Ltd, the leading Market Expansion Services provider with a focus on Asia. BiO-LiFE with 25 years of experience and counting in the natural healthcare industry has a team that includes nutritionists, biochemists, food technologists and microbiologists. Since 1990 in Malaysia, BiO-LiFE has been synonymous with quality, safe and efficacious health supplements from Australia and United Kingdom. A leader in natural healthcare & holistic therapies. BiO-LiFE name represents a range of nutritional supplements & herbal remedies based on scientific evidence & built on a strong foundation of QUALITY • SAFETY • EFFICACY. Working closely with nature, BiO-LiFEe's products are specially formulated to meet the needs and expectations of today's modern lifestyle.